Top band (160m - 1.8MHz) DX Operation: Base loaded half sloper - part I. In preview articles "Antennas inspiration"we talked about different antennas suitable for small pocket size lots. In fact I am still looking for some of that also as my fixed QTH is so small that I have no more than 10m x 15m garden available and just 6m high roof. No tower, no trees around. 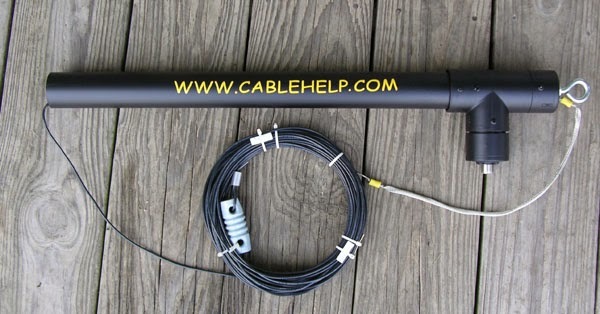 Our best selling antenna is our 160 meter, ruggedized version of our popular "half-sloper". We have been building these antennas for over 12 years. They work and work well. It's features heavier, 14 awg insulated wire, a built-in SO239 connector and a solid cover over the coil. 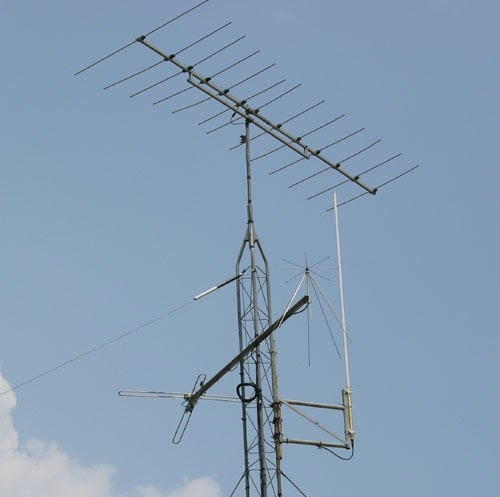 Ideal for 100-150 watt radios, this antenna solves the problems of working "top-band" and eliminates the need for a tuner. Trimmed to resonance at your favorite spot in the band this antenna offers omni-directional performance with minimum effort. We start with a tightly wound 14 awg insulated wire coil. This is the finished antenna, ready to be hung on your tower. The radiator wire will be left several feet long to allow you to "prune" it to the length that tunes it to the exact spot in the band that you need. Once tuned near the center of the band at your location the antenna will cover the entire band without any retuning or tinkering. Note: this antenna can withstand quite a bit of power but we have NOT tested it above 150 watts. We don't build "high-power" antennas. We build antennas that give you that extra performance. This antenna ships 75' in length and will be trimmed back to 68' or less on installation. It works best when attached to your tower at about the 45-50' level. 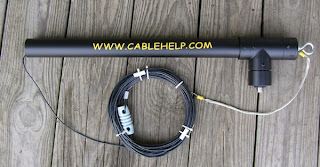 This allows the wire to be angled down to the ground at a comfortable angle (somewhere near 45 degrees) and attached to a suitable support 8 or 9 feet off the ground ( to keep someone from touching it while you are transmitting) 45' or so away from your tower. We have had one of these on our tower for 12 years with no problems. OK, it sounds good. What is important is that the installation need to have grounding point and some pipes or way to simulate the vertical part of the half sloper going to ground or better to the radials system. The minimal height seems to be around 8-10m. Of course not for DXing but to come to TB in general. I am going to thinking about that...and need to find the original post from Don, WD8DSB.